The capital of the prefecture is Aomori. Hirosaki is famous for the cherryblossoms in the castle park. Two peninsulas, Tsugaru and Shimokita, are placed around the bay of Mutsu. Part of Aomori was the former domain of Nanbu 南部 Nambu.
. ねぶた祭り　Nebuta Festival . It also comes with its toy many versions. and the other animals of the zodiac. The dolls are twisted by hand 手捻り, so each one is an original and usually with a touch of humour. 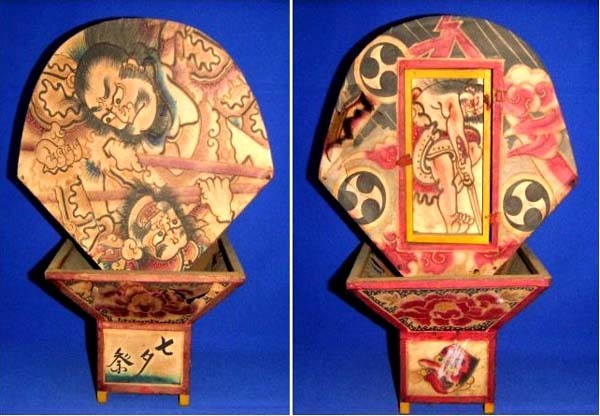 Made by 福原英治郎 Fukuhara Eijiro, but since his death they are not made any more.
. Hirosaki Daruma 弘前だるま . haneto はねと Haneto dancer "jumping people"
They basically jump two times on the right foot and two times on the left, for about 2 hours during the long parade of the Nebuta festival! This is not a dance, but a jumping performance. 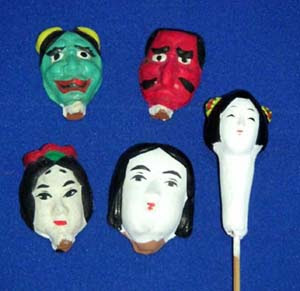 Some dancers of the Nebuta festival used to carry them in the hands and made some noise with the little bells. Now they are just made as souvenirs.
. Nebuta Float Festival in August ねぶた　ねぷた　.
. kogin-zashi こぎん刺し　Koginzashi embroidery . In former times, every home made their own from old pieces of cloth and left-over colorful threads, called kuke ito　くけ糸. They are decorated in all kinds of geometrical patterns. Now the "Old Folks's Club" 老人会 of Hachinohe makes them to remember.
. temari 手まり、手毬 hand ball - Introduction .
. mushiokuri ningyoo 虫送り人形 figures "to ward off insects" .
. Kokeshi　こけし Wooden　Dolls - Introduction . 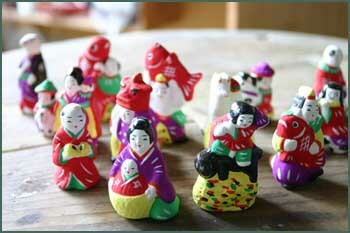 Hirosaki 弘前 - miniatures from the Hirosaki Summer festival floats. The back side could be opened to insert a candle. 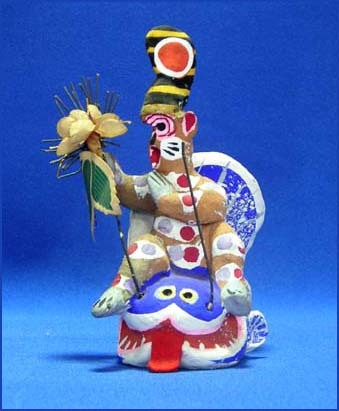 Many colors are used to make these dolls pleasant, calling in the Spring in Tohoku.
. Oniwakamaru 鬼若丸 and the carp .
. menbue, men no fue 面笛 masks as clay whistles . 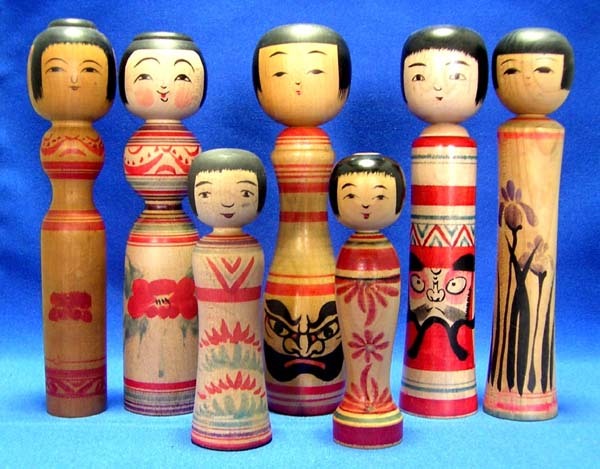 These simple dolls became the toys of poor children in the region, and were soon traded in many parts of Japan via itinerant vendors. 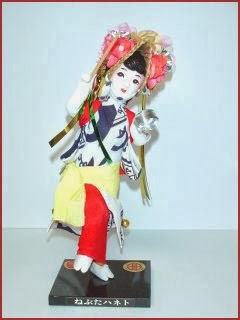 A present-day maker is Abo san 阿保正志. He makes yurayura hatobue ゆらゆら鳩笛 among many others . a kind of anesama elder sister doll to dress up.
. chokin Daruma 下川原の貯金だるま Daruma as piggy bank .
. Momoko モモコ　kokeshi wooden dolls .
. Shimokawara oiran ningyoo　花魁人形 Oiran geisha doll .
. ... uma nori dattan jin 馬乗りダッタン人 Russians on horses .
. hitsuji nori otome 羊に乗る乙女 young woman on a sheep . CLICK for more colorful samples ! 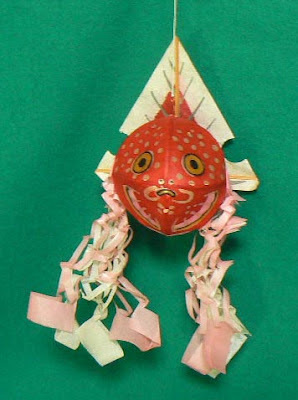 This kite is different from other Japanese kites. It has wooden frame instead of bamboo which is usually used by other kites. 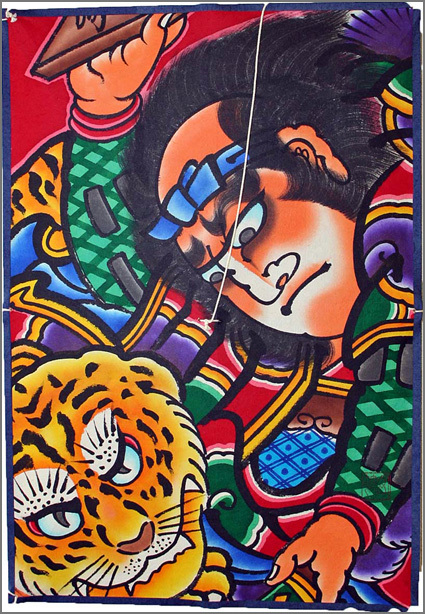 The painting of Tsugaru is one of the most decorative and impressive kite in Japan. Tsugaru nuri is Aomori prefecture’s one and only historic and economic industry and work of art. Tsugaru is the name of the western part of Aomori prefecture, located at the very northern part of Honshu in Japan. Although lacquer is common to see in every part of Japan as a historical form of art, the ways in which it is manipulated varies depending on the region. 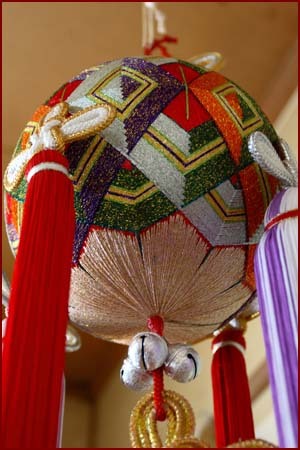 There are many different types of techniques for tsugaru nuri, but the first one that catches the eye is “kara nuri”, with its flamboyant and unique design. 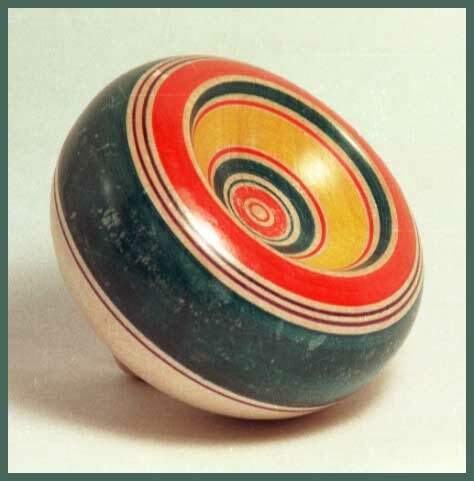 “Kara nuri” is a way in which speckles and checkers are drawn with lacquer on a flat foundation, with a ground color painted on top of the surface. On top of that layer, using sand grindstone or coal, the designs are grinded out, and a glossy lacquer is layered… As you can see, this is a very tedious and complicated procedure. There are other ways in which flower seeds are used in order to make small designs called “nanako nuri”. For all of the techniques, the lacquer is painted on over and over, a process that has remained unchanged for over 300 years. This is why each artwork takes over two months to complete. 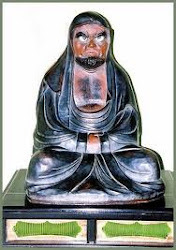 Tsugaru nuri was founded at around the 17th or 18th century. When the Edo period started in 1603, the world was doing well in terms of politics. Then, a law was passed stating that “alternate attendance” was required, and that the feudal lords of each region of the country were to frequently visit Edo. Because of this, people from Kyoto, Osaka, and Edo started to spread to other districts, and local industrialization was encouraged. This is the period that is known to have influenced the beginning of artworks and crafts in Japan. 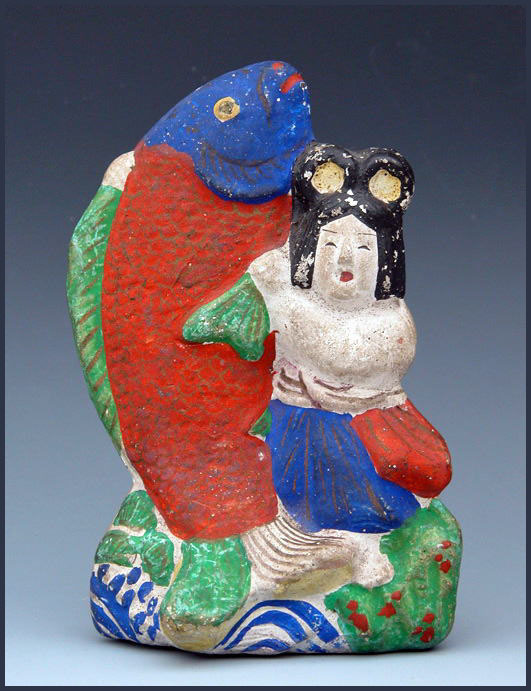 In the case of tsugaru nuri, many artists and craftspeople came from various regions of Japan to the region of its birth to improve their own skills. 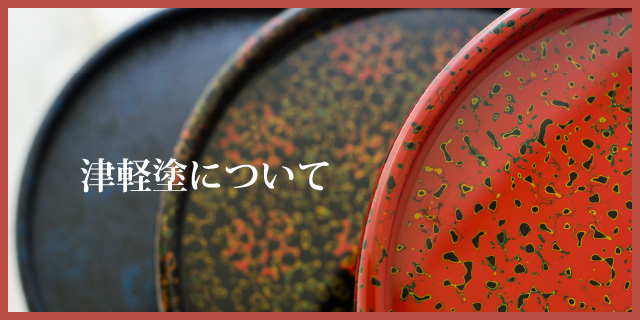 Historical items such as bowls, chopsticks, plates, and tea supplies using tsugaru nuri have long been popular, but recently smart phone cases and accessories made with nuri technique designs can be found as well. This is an extreme blend of the old and new, with modern technology wrapped in designs that have been around since the 17th century. If you want to be unique and carry around something that is a different from others, you must get a hold of one of these items!
. . . CLICK here for Photos of the bird! Wood was cut into three block and then rough woodcarving was done with one knife, with a few colors added later. Apart from Daruma, there were also Christian priests (bareren) ばてれん, nuns 修道尼 and visitors for the plum blossoms. It seems to be Yahata horse's start that the woodwork masters around in Hachinohe in the southern part of Aomori Prefecture had made horses of wood carving around 700 years ago. 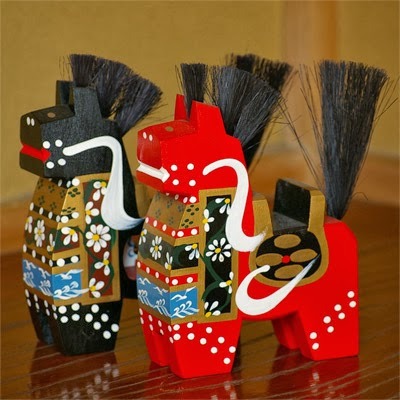 It has strong colors, with a red and black horse as a pair. Yahata horse's old doll planted genuine horsehair in the hair in the part of the back . . . 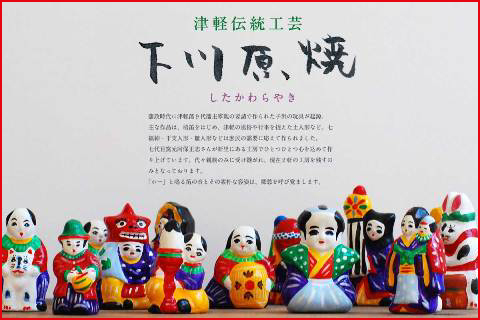 They are made strong enough to be used in snow country.
. koma 独楽（コマ） spinning top - Introduction .
. Aomori Folk Toys - this BLOG .